Knowing your privileged users is knowing your risk. 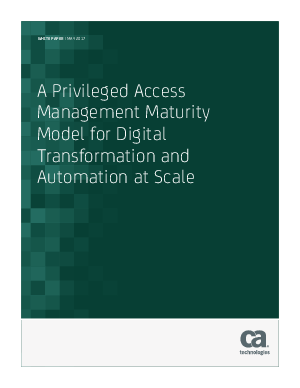 Privileged access management tools themselves must be able to support automation in the authorization process and enable scalability through support for both dynamic operations and ephemeral infrastructure. Better pinpointing attacks exploiting credential theft isn’t simply a question of accumulating more data but involves incorporating better data about privileged user behaviour, which can identify significant changes that represent real risk. This approach is further reinforced via integration with privileged access governance systems to enable behavioural analytics across users with comparable roles.